An outstanding form of NSW Christmas Bush, it has very bright red flowers just in time for Christmas, on a compact large shrub to small tree. The flowers are great for cutting for long lasting bunches for Christmas decoration. 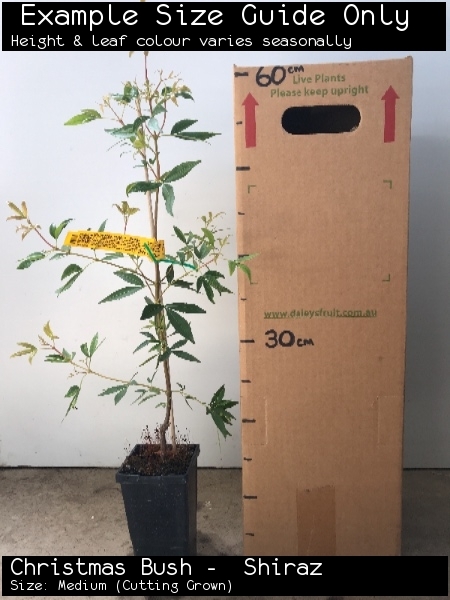 Prune about 30% off the plant, straight after flowering to encourage a more dense growth habit. A great feature plant and cut flower, growing to around 5 meters tall. It needs a good well drained sandy to loamy soil, in sun or dappled shade. Best in temperate to subtropical climates. Tolerates light frost.